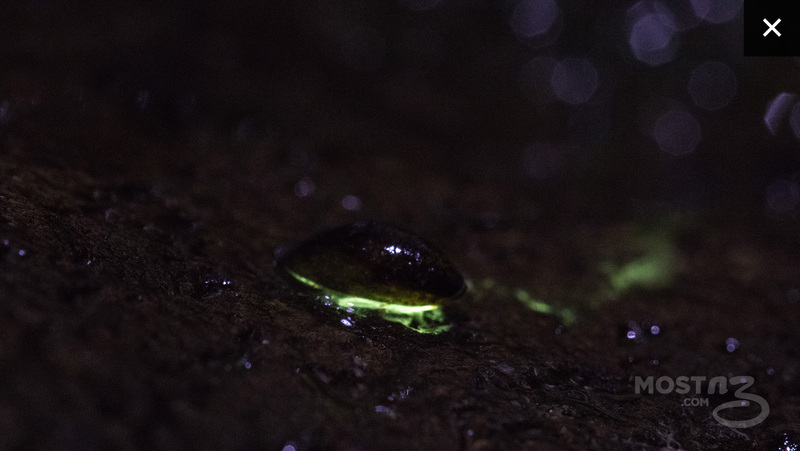 NZ has the only freshwater bioluminescent limpet in the world. 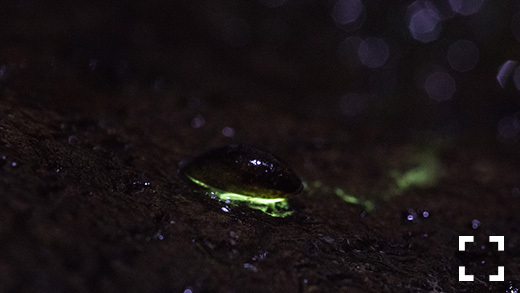 When disturbed, these small (11mm long) limpets glow brighter than glow worms. 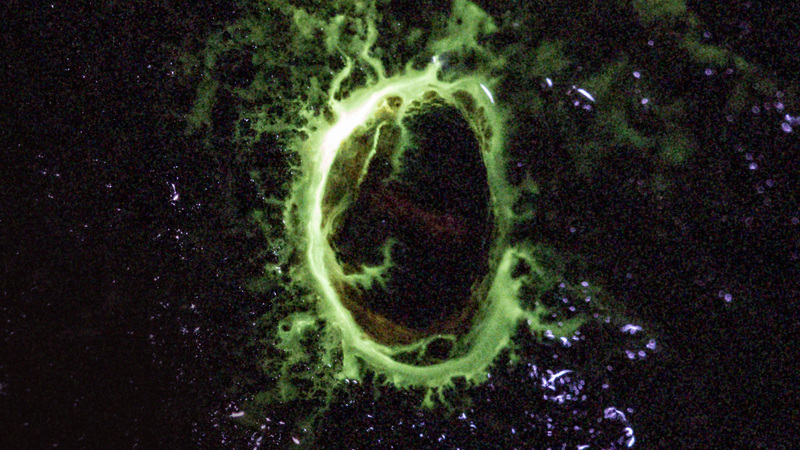 They release a burst of glowing slime as a distraction for would-be predators. These limpets only live in stony streams with good water quality. Learn more about the declining state of Freshwater in New Zealand. If the limpet is disturbed while in the water, the slime floats away, but in this photo the slime is running down the rock. To see the limpets, visit the first stream on the Cossey Gorge Track in the Hunua Ranges Regional Park.